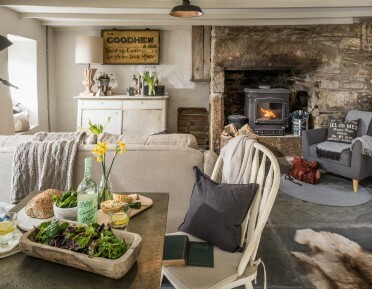 Steeped in history and wrapped-up in romance, this sweet stone cottage sits on the western fringes of Bodmin Moor within easy reach of the pretty fishing villages of Port Isaac, Padstow and Rock on the north Cornwall coast. 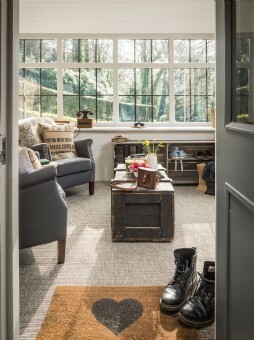 From sunset walks along the beach to moorland picnics within a scene of trickling streams and freely roaming ponies, a luxury escape to The Poet's Hideaway will provide the perfect couple's retreat. With its unique desolate beauty, north Cornwall's Bodmin Moor makes an enchanting destination for couples and solo travellers wanting to escape the everyday. 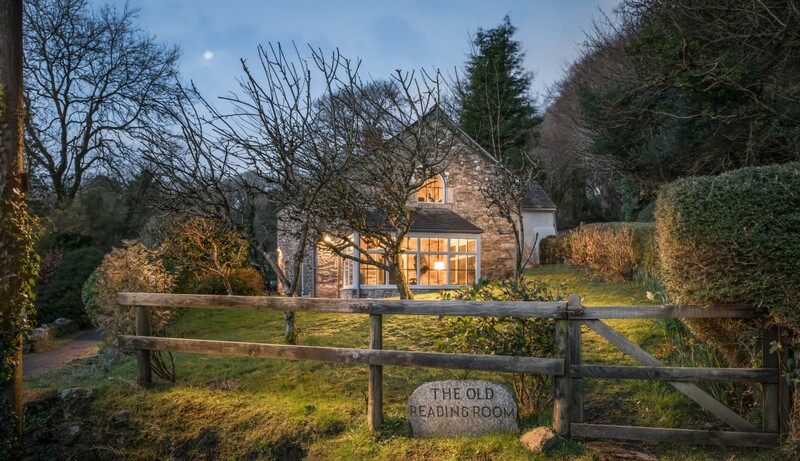 Country lanes twist through rolling moorland to reach this luxury cottage nestled in a tiny hamlet near St Breward. 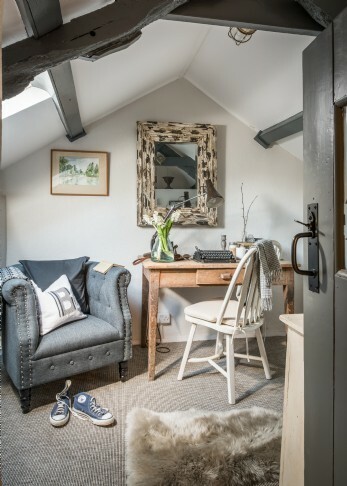 Once used as a reading room to encourage literacy amongst the local children, The Poet’s Hideaway oozes charm from every wonky beam, nook and cranny. 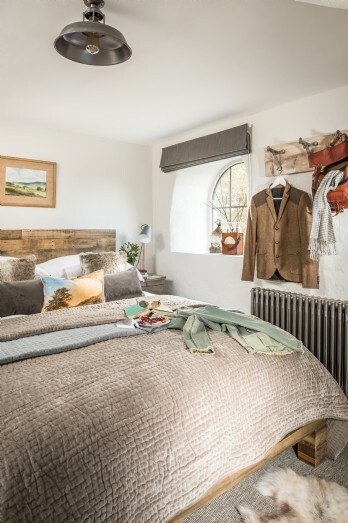 The chalky, vintage cottage interior combines with the utopian setting to make a tranquil retreat for the most relaxing of staycations. Climb the quaint cottage stairs to reach a luxury shower room and bedroom which flaunts a king-size bed overlooking the garden. To rouse in true storybook fashion, pull the windows open and let the room fill with birdsong. Also upstairs is a cosy snug room in which to compose your literary masterpiece, or simply sit with your nose in a good holiday read. The secluded garden is filled with beautiful blooms, shady trees and a trickling stream which runs along the bottom of the lawn. 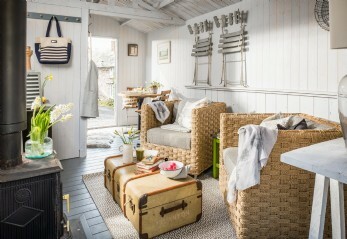 The sunny deck provides an idyllic spot for scoffing scones and rosé on a balmy afternoon, whilst the Scandi-inspired summerhouse, with cosy armchairs and vintage trunk table, is best for the Sunday morning papers. Wander down the lane and you'll discover the nearest villages of St Breward and St Tudy, each boasting brilliant pubs with crackling fires. There's nothing more exhilarating than taking to the moor on horseback. Gallop past sweeping heathland, granite tors and delicious coconut-scented gorse as you embrace the landscape in true Poldark style (which, incidentally was filmed just around the corner)! If you'd prefer exploring on two wheels over four legs, start the famous Camel Trail from nearby Wenford Bridge - not forgetting to stop for a flute of bubbly at Camel Valley Vineyard as you cycle along the estuary to reach Cornwall's fine food capital Padstow. Enjoy freshly caught fish on the harbour and watch the sun set over dreamy Daymer Bay in the distance. The kitchen features an electric oven, fridge with freezer drawer, dishwasher and washer-dryer. There is off road parking for one car. The gardener may visit outside of the changeover. Style: Taking influence from Scandinavian interior design, the cottage is a perfect balance of functionality and aesthetics. A neutral, understated colour scheme really brings out the beauty in the original features. The Poet´s Hideaway is the perfect retreat to get away from the hustle and bustle. Creative souls will relish the peace and tranquillity which comes in abundance here. 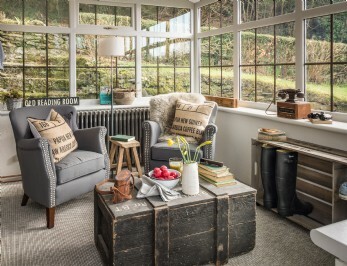 With so many corners, couples can spread out or cosy up as much or as little as they wish! Discover places to see and things to do whilst in and around St Breward, Cornwall to truly enhance your stay come rain or shine! Vineyards and Bubbles North Cornwall boasts two award-winning vineyards to visit whilst on holiday at The Poet's Hideaway. 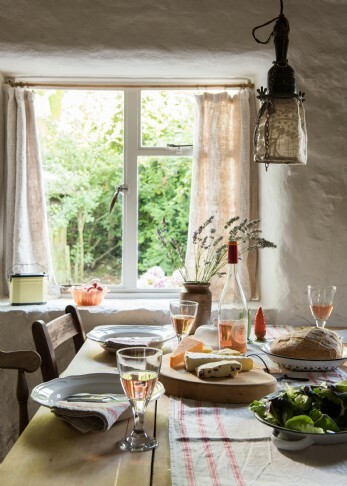 Trevibban Mill near Padstow has a stylish wine bar and tasting room which enjoys stunning views across the valley; a picturesque place for lunch whilst sampling their Cornish wine! Camel Valley is just fifteen minutes away and every Wednesday evening provides a guided tour by a talented wine-maker and a tasting session of their famous Cornwall Brut, among other delicious wines. Woodland and Moorland Pack up a picnic and walk or cycle through the beautiful mixed woodland of Cardinham before finishing up with some hearty fare at the Woods Cafe (with cakes to-die-for!). Explore the magic of Bodmin Moor with its soaring Tors, granite outcrops and ponies which graze the heather-strewn moorland. The fables which surround the moor are sure to enchant visitors. Coastal Adventures The surf hotspot of Polzeath and yachty-Mecca of Rock are little more than half an hour away. These well-heeled holiday haunts are popular thanks to their stellar restaurants and popular water sports centre. Sailing, water-skiing, coasteering and surfing will add an extra splash of fun to your luxury holiday in North Cornwall. Giddy Up Have you ever dreamt of galloping across golden sands through crested shore-breaks with the wind in your hair and sea-spray on your face? Why not make this dream a reality whilst holidaying in Cornwall? Bodmin moor is a dramatic backdrop for hacks and ride outs too. Houses and Gardens There is a bevvy of noteworthy homes with breath-taking gardens to visit here in Cornwall. Pencarrow, Lanhydrock and Cotehele are all within striking distance of St Breward and make for an interesting day out whatever the weather. Don't miss the bluebell and wild garlic festival at Pencarrow in Springtime! The country cottage kitchen and its array of self-catering accessories are guaranteed to get your creative juices flowing. Local farm shops are the best option for home-grown Cornish produce, ensuring you experience the area's freshest offerings. Dine in the sitting room and let the log burner provide the crackling soundtrack to your candlelit supper. There are several moorland inns that come highly recommended near The Poet's Hideaway, particularly The St Tudy Inn, St Maybyn Inn and The St Breward Inn. 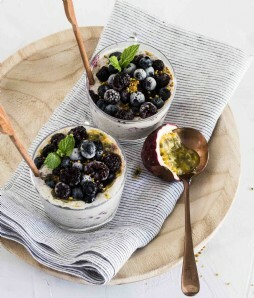 For celebrity name dining, head to Watergate Bay to sample their scrumptious taster menu at Jamie Oliver’s famous Fifteen restaurant, or Paul Ainsworth's in Padstow.